We absolutely loved being a part of Amanda and John's wedding day! Not only are they genuinely kind and big-hearted people, their family and friends are too! 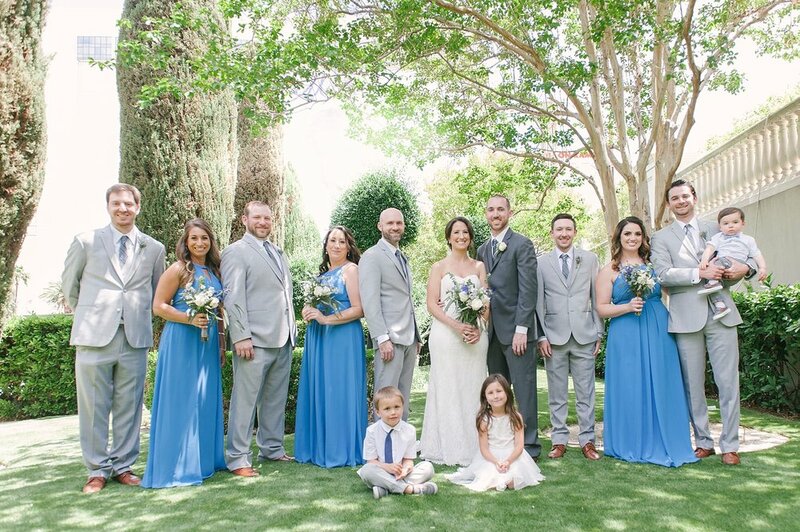 They chose to come from New Jersey to have a destination wedding in Las Vegas because they wanted their wedding to be remembered as a fun and joyous occasion shared with their best friends and family. 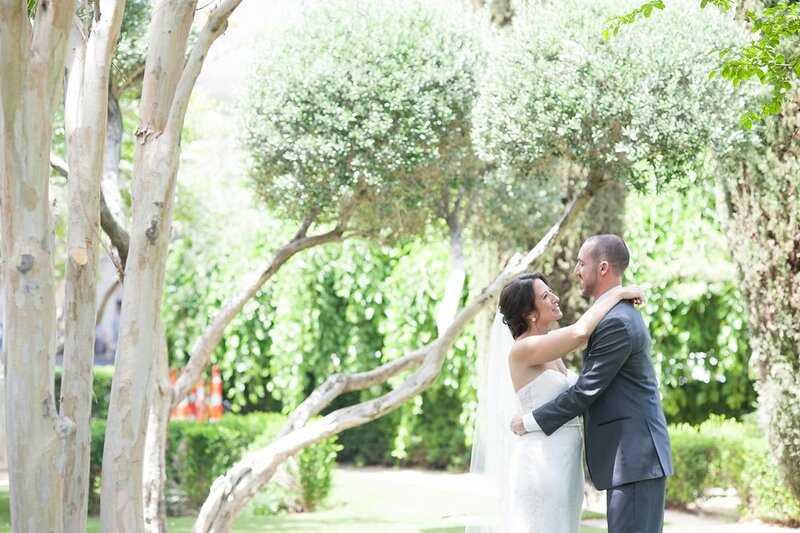 After the getting-ready, Amanda and John chose to do a first look before their ceremony. 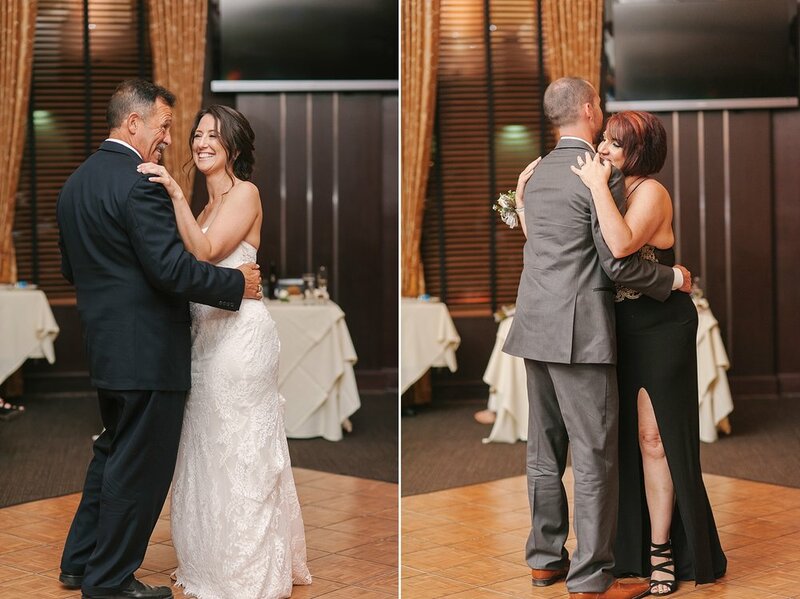 Amanda also had a first look with her dad, which was super special and sweet too! 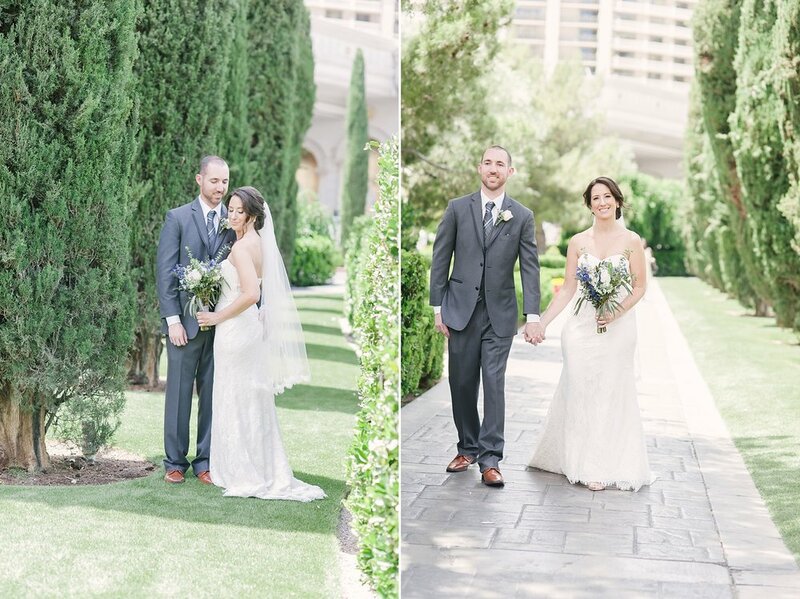 After some portraits around Caesars Palace, where they were staying, they had their ceremony - which unfortunately we were unable to photograph. 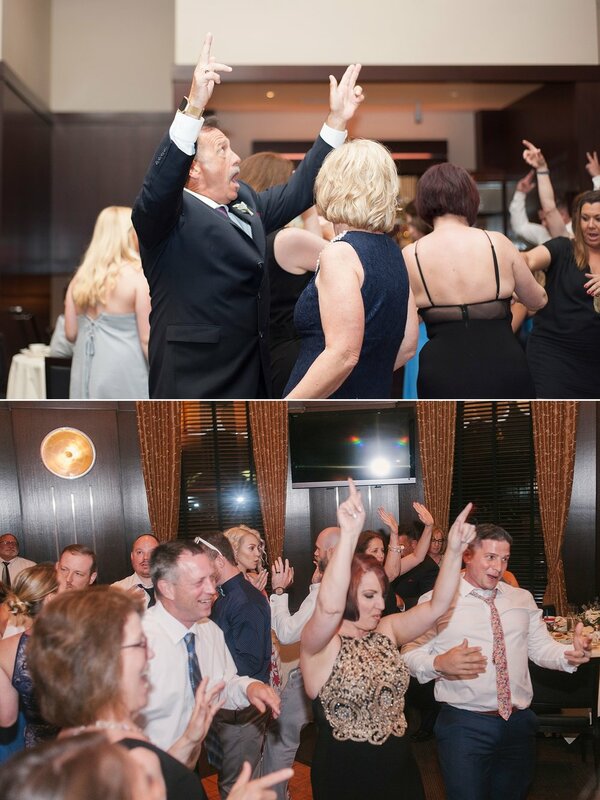 But, we met up with them afterwards for their reception at one of our favorite destination wedding venues, Joe's Seafood, Prime Steak, and Stone Crab. The restaurant is conveniently located inside the Forum Shops at Caesars, so it was a perfect choice for them!